This is the third year we have a recycled Christmas Tree. 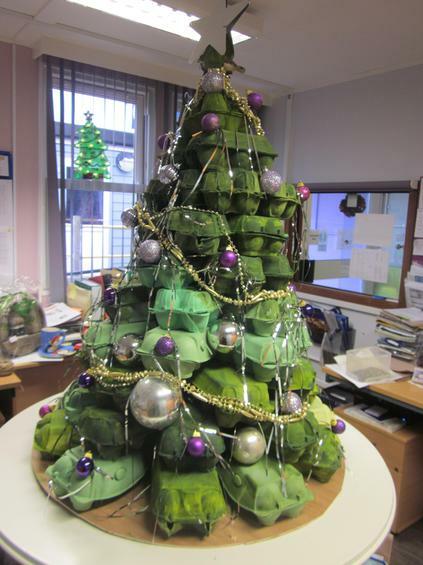 This year it has been built from the egg boxes parents, families and staff kindly donated. 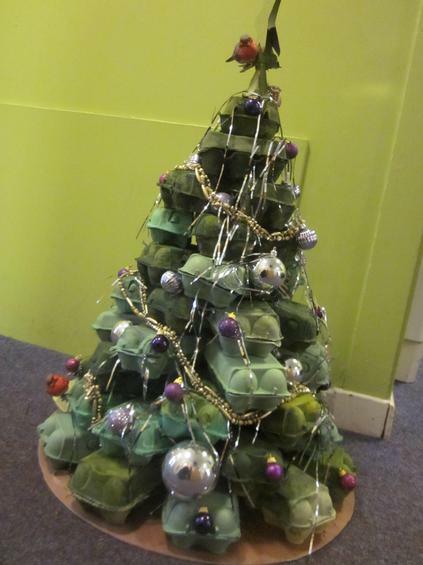 A number of children helped paint the boxes and now the tree is standing proud and tall within the school office. Thank you for your box donations!